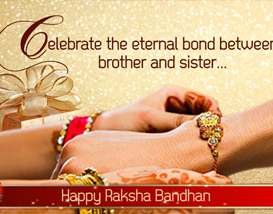 Welcome to the world of amazing collection of free raksha bandhan quotations. These expressive and evergreen quotations serve as the best option to express your feelings and make the occasion more joyful. You can send these wonderful rakhi quotations to your brothers or sisters who are staying far from India. You can even copy these quotations penned down by some eminent writers on cards and on gifts and send as Rakhi gifts. In case you are thinking of writing a letter to your siblings then rakhi quotations would serve the purpose and make enhance the meaning of the letter. Reading these touchy raksha bandhan quotations will make you feel the beauty, essence and inherent strength of brother-sister relationship. These quotes come out straight from the heart and express the deep feeling of yours. 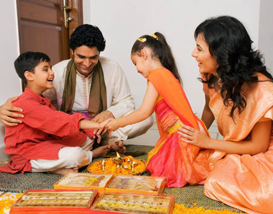 The collection also includes some Raksha Bandhan quotes for siblings that generally describe the sweet and tangy characteristics of brother-sister bonding. Read these rakhi quotations with your brother or sister and get into the mood to celebrate Raksha Bandhan festival. You can also pen-down these quotations on your rakhi card and tell your brother and sister that you love them a lot. This amazing collection of raksha bandhan quotations can help you reach your dear one in the most beautiful way. 1. My brother is one of the most precious Gifts Sent to me by God!! He protects her sister from all the evil eyes and keeps hen in a safe surrounding! 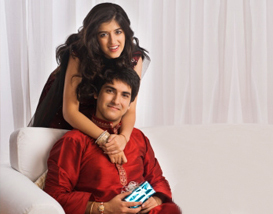 Happy Raksha Bandhan to the sweetest brother in the world!! 2. It may be that memories will fade with time but the love that brother and sister share will never fade away, rather it will multiply over the years. Happy Raksha Bandhan to my dearest brother!! 3. Even if we will not be together on this Raksha Bandhan to share the thread of Rakhi but there's always this invisible thread that will keep us connected irrespective of the geographical boundaries. 4. Nothing can change my love for you brother, be it the money or the time!! The celebration of Rakhi brings in more love and blessing in our relationship. Happy Raksha Bandhan to my dear brother!! 5. We may grow old for other people but for our brothers and sisters we are always child!! We have lived with each other since our childhood and so there is innocence in the relationship! A very happy Raksha Bandhan to my dearest brother!! 6. We get and then forget many things in life, but it is very sure that your trust in me will never be broken. I am there and I will always be there for you no matter what!! 7. 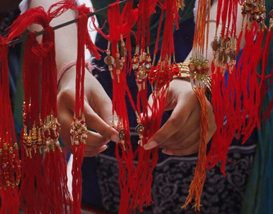 All the festivals may be very colourful but there isn't any festival as powerful as Raksha Bandhan! Happy Raksha Bandhan to the most lovable brother of the Universe!! 8. Dear brother, I wish this bond grows and grows as long as I live!! The relationship that I share with my brother is the most perfect one!! There is no scar same as there are no scars in the appearance of the moons! I wish a very happy and healthy Raksha Bandhan to my dear brother!! 9. The thread of Rakhi is so very powerful that it can bring even two people from different communities together and let them share this pious relationship of brothers and sisters. Happy Raksha Bandhan to the most loving brother of the Universe!! 10. Years will go and our relationship will grow!! Days will pass but there will always be love in our hearts. Dear brother you make my life like a shining start. Always be with me the way you have been till now. A very Happy Raksha Bandhan to my dear brother!! 1. Today, on the auspicious occasion of Raksha Bandhan, I want to thank you from the bottom of my heart for being the best brother of the World! Happy Raksha Bandhan to the best sister of the Universe!! 2. This one is the most wonderful relationship that I share with my sister! I am so obliged to God for gifting me with such a wonderful and protective sister. A heartfelt Raksha Bandhan to my dear sister!! 4.It's your sister who competes with you as long as she is a child but ones she is gown up there cannot be a more loving relationship like hers!! 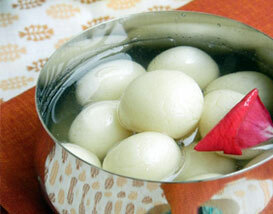 Today on the occasion of Raksha Bandhan, I want to thank my sister for being my best companion!! 5. A sister is someone who will care for you the most no matter what and she will always be the best companion of your life! I too have a sweet sister who feels all my agony and pain and helps me out to the fullest in fighting them!! Happy Raksha Bandhan to my dearest sister!! 6. It feels great to think about those trifling fights that I used to have with my in the childhood and then not being able to live even for a moment without each other. Now that we are grown ups, I need her way more than before. Lots of Love to my dearest sister on this Raksha Bandhan!! 7. My sister is that sweet angel who has spread love all over in my life. Be it the bad or the good times she has always helped me with her brilliant ideas. I love here more than anything in the Universe. Happy Raksha Bandhan to the most loving sister of the Universe!! 8. The sweet & innocent smile of my sister brings in happiness in my life!! Lots of love to my dear sister on this Raksha Bandhan!! 9. On the auspicious occasion of Raksha Bandhan, I want to promise my dear sister that no matter what I will always stand by her side! Lots of hugs and love to my dear sister on Raksha Bandhan! !